Always looking to cater to the computer enthusiast, EVGA showed us a glimpse of what 2014 holds in store for their new product offerings. 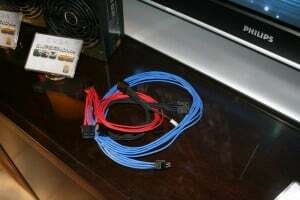 EVGA will be getting into the gaming mouse business and will also offer braided cable assemblies and kits for their PSU line. 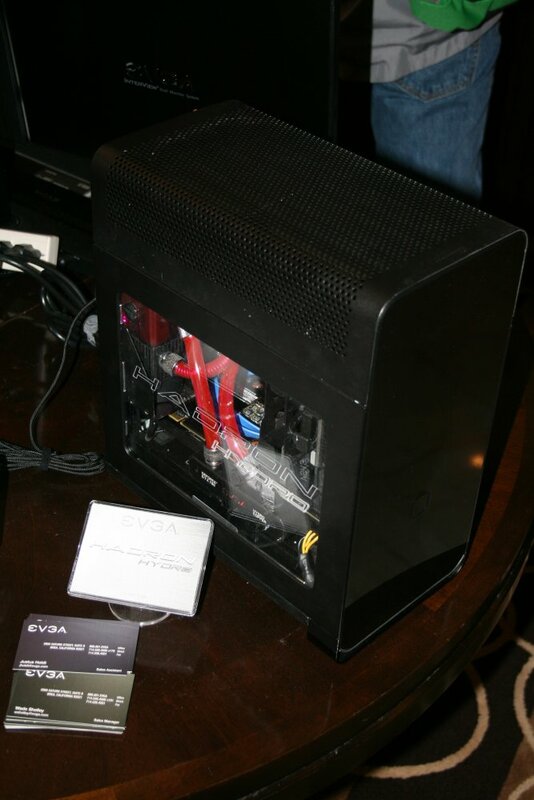 Let’s have a look at what EVGA was showing off at CES 2014! EVGA also shared a look into how conceptual ideas come to fruition by using mock-ups. 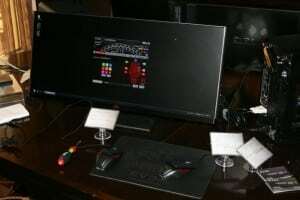 Below is a picture of a concept board they had on display, which shows several different mock-ups as designs progress. EVGA will be offering custom-sleeved cabling for their power supplies in 2014. We’re told they should be available on an individual cable basis or in kit form. The much anticipated Hadron Hydro mini-ITX case is now available for purchase at the EVGA store, where you can also purchase the accompanying water cooling kit specifically designed for it. The Hadron Hydro comes complete with a gold-rated 500 watt PSU and support for long video cards. The GTX 780 Ti Classified K|ngp|n edition should be available to purchase Q1 2014 and promises to be an extreme overclocker’s delight. 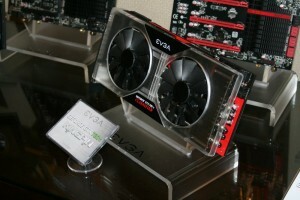 EVGA also boasts a “Build to Order” option for people interested in purchasing this video card. Complete details on this option will be forthcoming in the coming weeks. 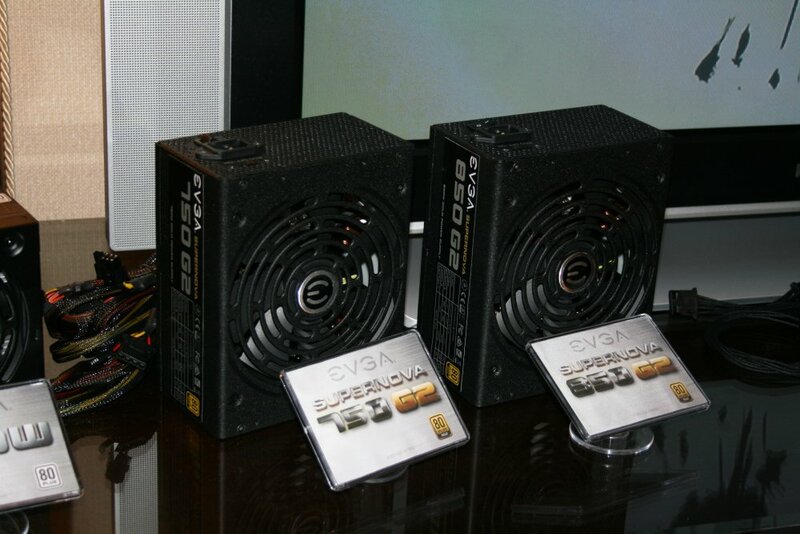 EVGA had all their popular Supernova units on display for us to drool over. The Supernova branding includes the NEX, G2, and P2 series of units that range anywhere from bronze to platinum certification. 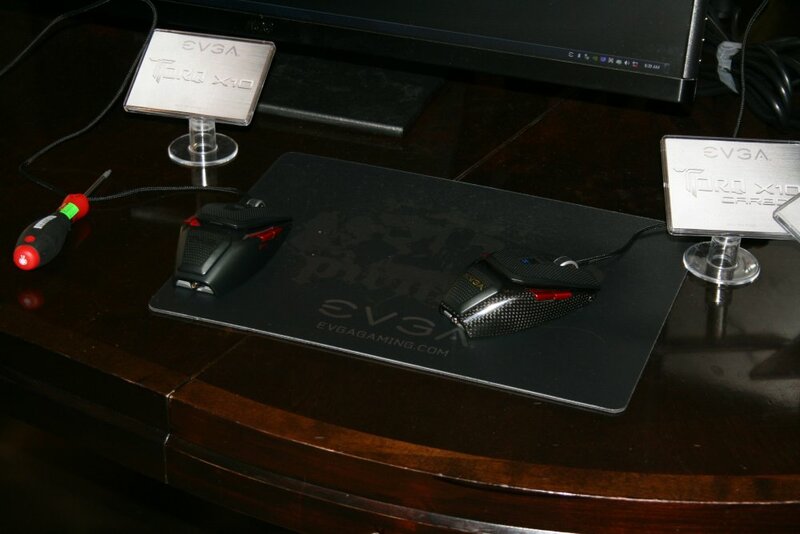 While there may not have been a huge amount of new items here, it is nice to see EVGA continue to expand their enthusiast-level products. Stay tuned for more CES 2014 tidbits over the coming days! I want that X10 Carbon. You guys might see my G700 up for sale when it comes out. Lots of new entrants to the gaming mouse lineup recently. 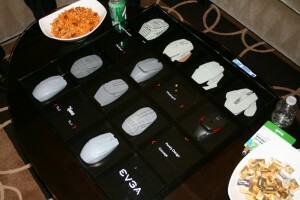 I wonder if EVGA will still be around next time I get a new mouse. Hopefully that won't be for another 5 years.